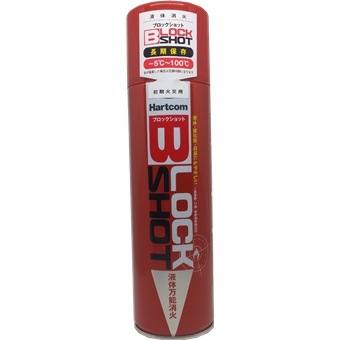 Is a one-touch spray extinguishing, BlockShot HC-007. And is a safe, non-polluting and environment-friendly new generation fire extinguishers. Proud strong extinguished due to cool the combustion temperature sharply, plants or deadhead to raw materials for human or animal or plant no harm to. Not used for venting gas.